Multiple clocking terminals are easily setup via TimeTec TA from the centralized Terminal Setup page. We fix all the maintenance work for you, from data backups to routine maintenance tasks, therefore reducing time and cost spent on your in-house IT services. You have another system that you want to integrate? 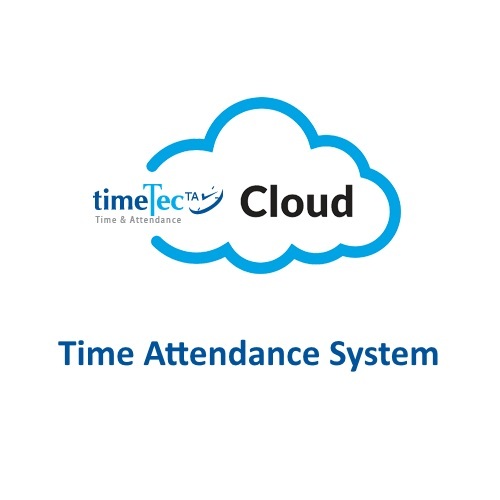 TimeTec TA has an open architecture, enabling it to integrate time and attendance information with your existing system smoothly. 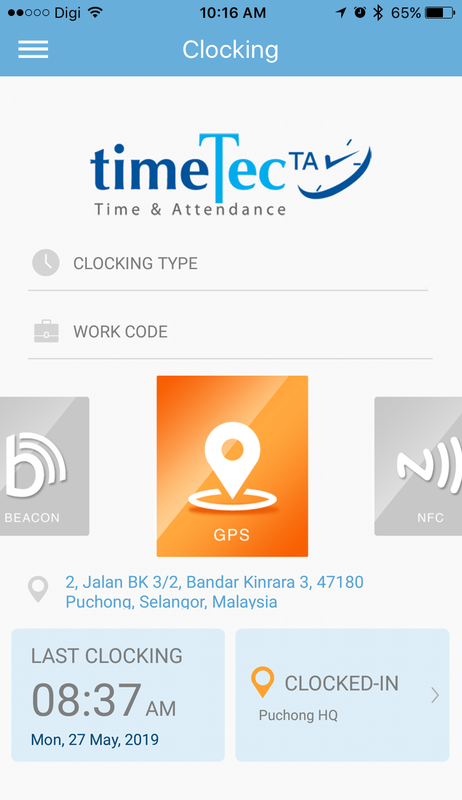 TimeTec TA is suitable for companies with multiple branches, as attendance data can be centralized under one account and viewed by the headquarters easily. One user license can be accessed on 3 different platforms without extra charges: terminal clock-in, mobile clock-in from smartphones, and web clock-in from your PC. Versatility is the key! 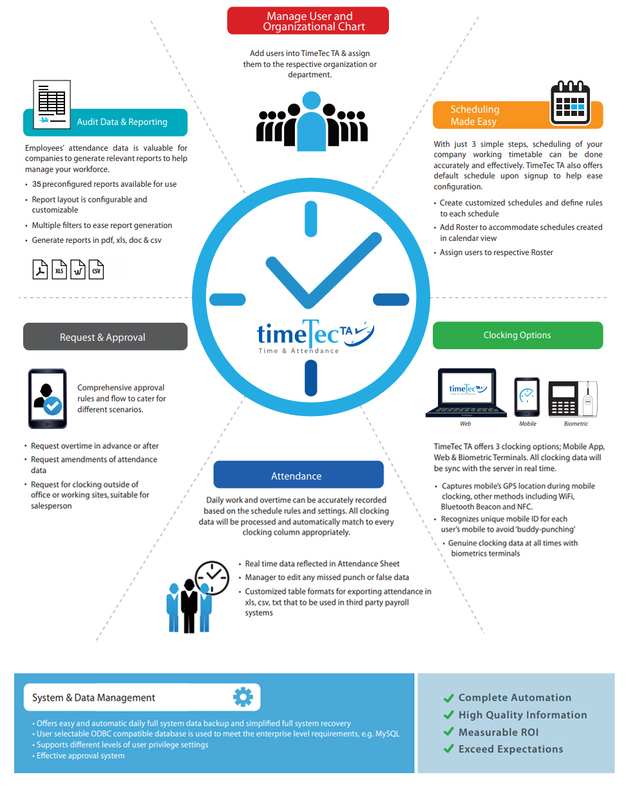 Whether you prefer your reports to be saved in .pdf, .xls, .doc, .csv or .html format, TimeTec TA provides them all! 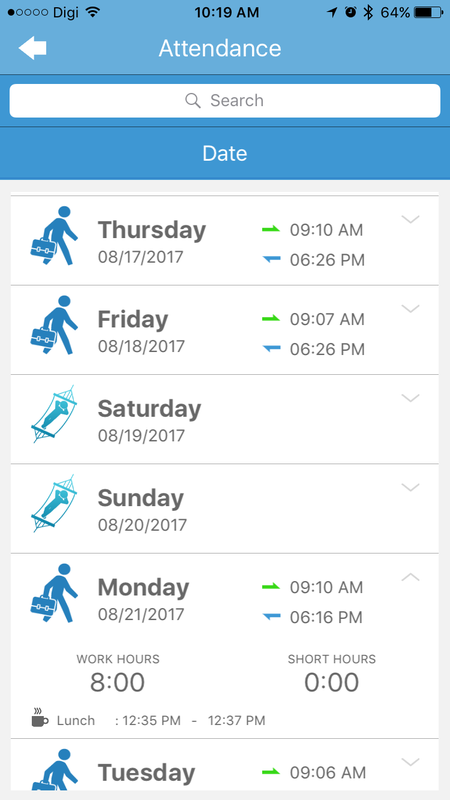 The mobile app, TimeTec Mobile allows you to clock-in, check attendance history, and generate reports, all while you’re on-the-go! TimeTec TA runs on the Amazon EC2 platform and uses block level storage volumes by Amazon Elastic Block Store (Amazon EBS) which ensures the safety, security and reliability of your stored data. 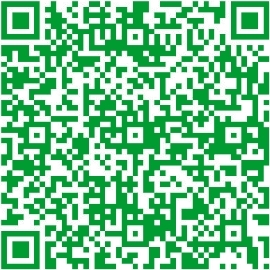 * Refer to timetecta.com/pricing.php for pricing details. with only a few simple steps! Creates user profiles and fills in the required information, assigns Manager or Supervisor as admin to manage their respective division(s). 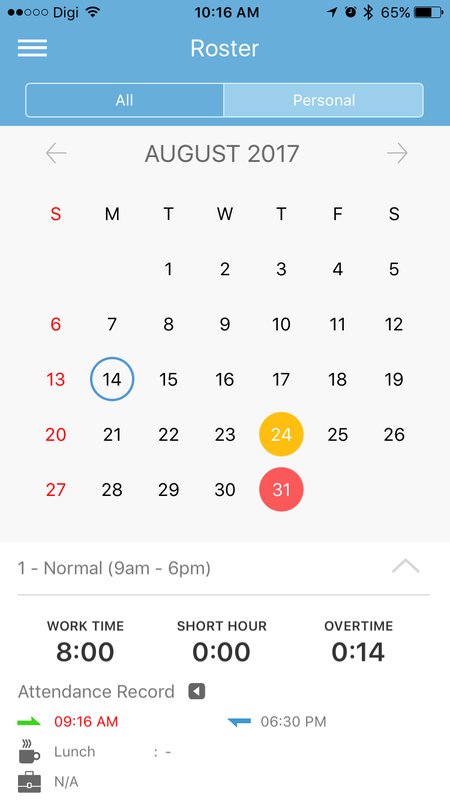 Tracks and manages attendance on your mobile, the perfect fit for today's lifestyle. 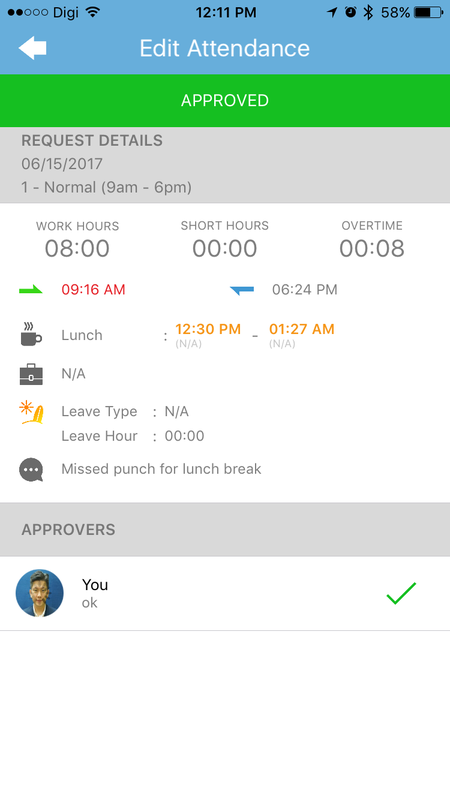 Configures schedules and rules based on company needs, assigns to respective users for attendance processing. 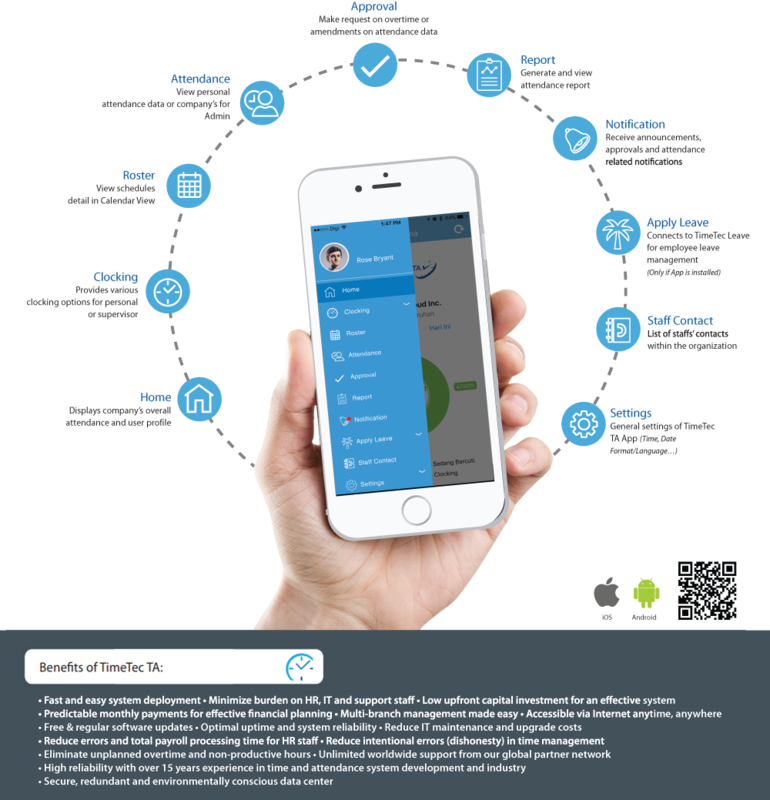 Obtains all data for better and more productive workforce administration.